The opposition parties have rejected the budget 2017-18 presented today by Chief Minister Virbhadra Singh, as finding no impetus to ensure growth. The Himachal CPM has termed the budget a routine affair with no strategy for the induced growth in the state. CPM leader Tikender Panwar, in his press statement, said the budget itself speaks about the limitation of the capital expenditure in wake of the objective reality existing where there is hardly any scope of development left out. There is a complete veneer over the reality and just some announcements which are absolutely populist will not lead the state to overall people’s development, he further added. The total revenue deficit figure of Rs 1,041 crores is not 3.62 % of the total expenditure but over 21% as the total capital left out for development would be that meagre. This would mean that mere announcements will be on the fore and total realisation will be a distant reality. Though the government mentions about the filling of 20,000 functional posts but how is that going to happen with such a huge debt and increasing deficit is a big question mark, CPM leader further raised doubts. The CPM termed the budget as just another exercise to hoodwink the people that does not address the important challenges the state faces for rejuvenation of its resources. It does not address the challenge of unemployment which is reaching an alarming situation. However, the party welcomes the Rs 1000 unemployment allowance. It does not address the demands of the large section of agriculture and allied activities linked strata that had high hopes but are completely let down. The state BJP called the budget a juggle of stats. 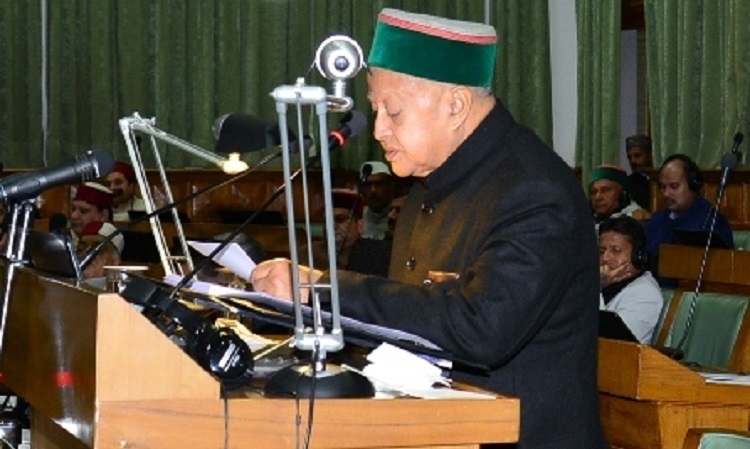 Ganesh Dutt stated that Virbhadra Singh has come out with a populist budget in a poll year. BJP leader has doubted hidden taxes to be imposed on the common people.